01 Full Day North Tour with Pamplemouses Botanical Garden. 01 Full Day South Tour with Entrance Fee At Chamarel Seven Colors of Earth. 01 Full Day Ile Aux Cerfs with Speed Boat Transfers. 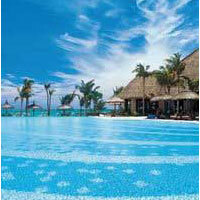 mauritius : (06) Hotel Gold Beach Resort/similar.Passport & Poe Charges.